We’re thrilled to be hitting the road with Halestorm and New Years Day in the fall. Get tickets now when you use the pre-sale code “ROCKOUT. Holy crap! It's not often that an opener outperforms the headliner, but that was the case in this concert. 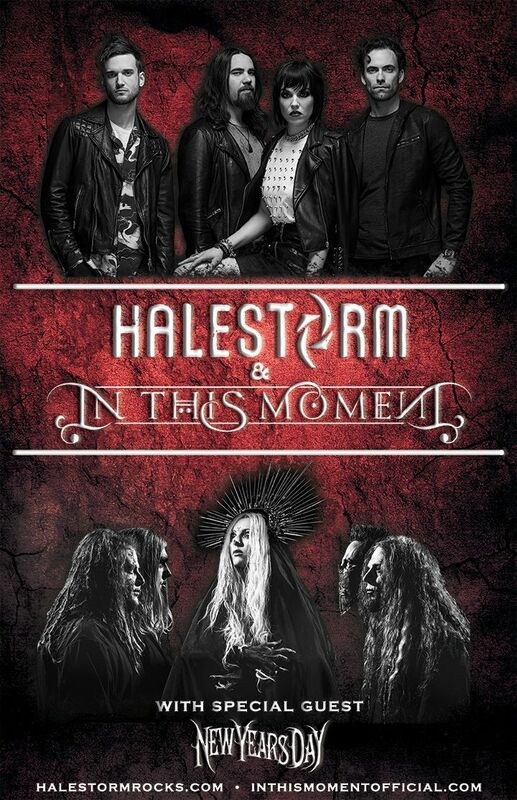 I went to this concert because I love In This Moment so much, but after seeing the over the top creativity that went into In This Moment's performance, I don't know how anyone could prefer Halestorm's comparatively half-hearted concert. Would have enjoyed a bit brighter stage and less strobe lights so we could see what was going on a little more clearly, but all the same it was simply amazing! To put it simply idk if I could ever get enough. I am recommending everyone that likes this type of music, not even just In This Moment in particular, goes and sees them perform. The best concert I've ever been to, eh at least 2nd best, and this is out of well over 50 in my lifetime. 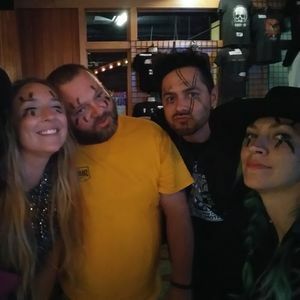 if you love In This Moment then definitely go see them. however, the music quality isn't as good live. Fortunately or unfortunately, Maria Brink does a lot of choreography and dancing, and it takes away from her focus on powerful singing. she got frustrated a lot on stage because wind machines weren't pointed correctly and you could see her eyes and pointing making hand signals, instead of just going with it. And the focus is all on her and you don't get to see much of the band who are always dimly lit and hardly move. and their talent is just not really showcased but kept stationary. Just my opinion. Most other people absolutely love them. And I do too but I would love to see them take it to the next level. Hollywood Undead was actually better than expected. The 'In This Moment' set was rather short and there was a lot of pauses for wardrobe changes, so with an amazing catalog of music and being the headliner I expected them to play a few more songs. There was a small lively pit during 'In This Moment' set, and that's where I lived out the show, and that's why I gave the five star rating! The venue was fantastic and the sound was great. Although the band performed the songs well, they had very low audience interaction. the worst was the 4 minute breaks between songs just to swap from a black robe to a white robe while the rest of the band exited the stage as well. Keep the energy going and this could have easily been a 5. Lastly, because the song breaks were so long, the set lasted 90 minutes, but they only played for about 60. Had a great time Music was amazing . Being a short woman makes it hard to see with people standing in the Isles I didn’t get to see any of POD but sat and listened because standing did nothing for me . But I love in this Moment and got to see most of them . I love the Florida Theatre!